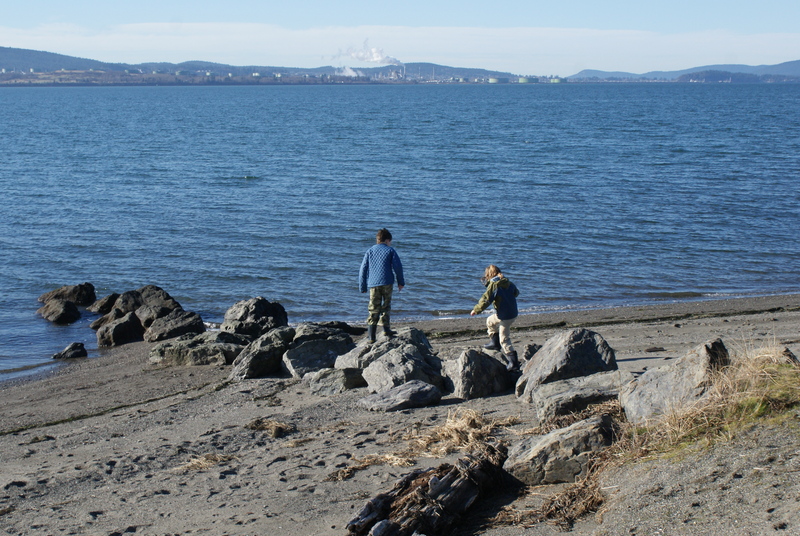 We went up to Anacortes 2 weeks ago to check out the Padilla Bay Shore Trail. We had been having our normal February week of sunshine in the middle of our gloomy winter. 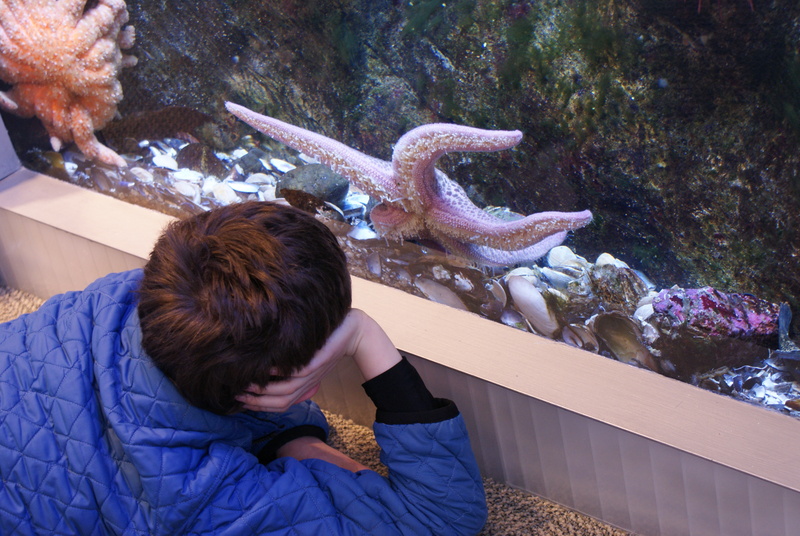 We were also recovering from colds, and wanted an easy, gentle outing. This trail fit the bill. 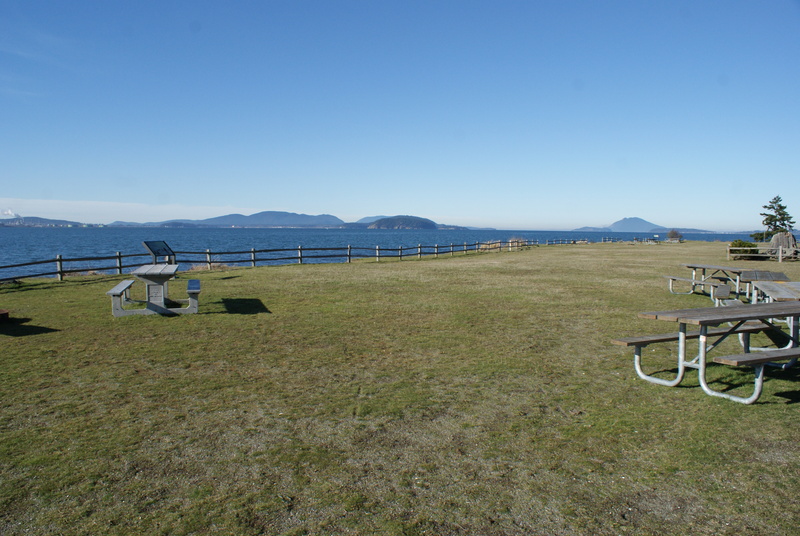 We stopped first at Bayview State Park to use the restrooms and eat lunch at the sheltered picnic tables. (It is for times such as this that I keep my Discovery Pass in my glove compartment.) 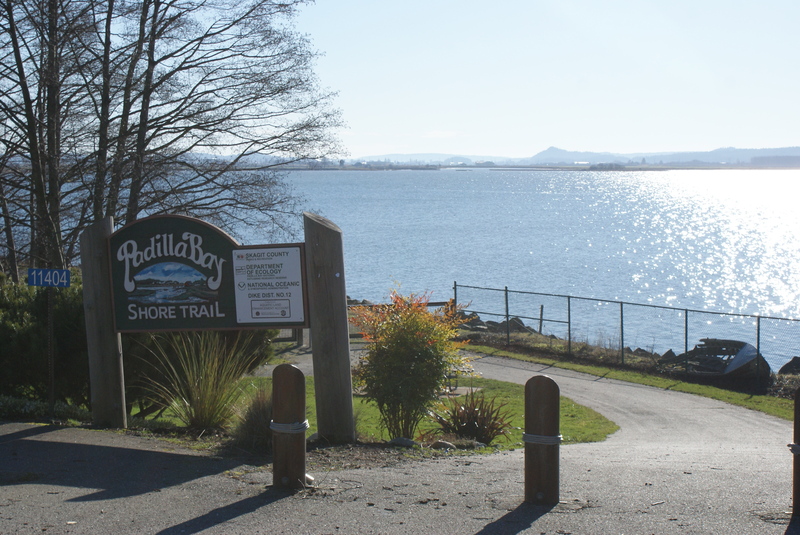 We poked around this park for a bit, then drove the short distance to the North Trailhead for the Padilla Bay Shore Trail. There is a small parking lot off of Second St., about a block away from the actual trailhead. There was a porta potty there, if you need one. 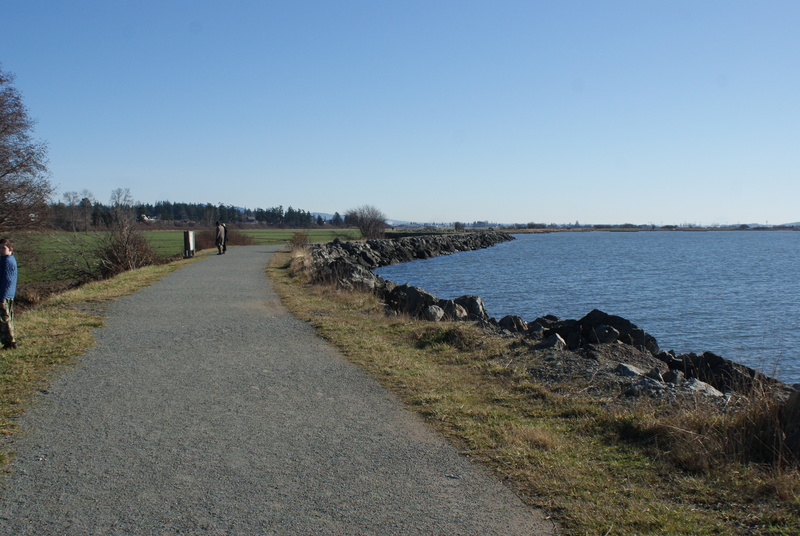 The Padilla Bay Shore Trail is along the top of dikes that protect the farmlands from the salty tides. It is hard-packed gravel, flat and wide. The dike curves along, with occasional trees and shrubs next to it. We enjoyed the gentle whooshing of wavelets in the bay, and soaked in the sunshine while bundling up against the frigid north wind. We observed ducks in the farmers’ fields, and lots of seagulls. 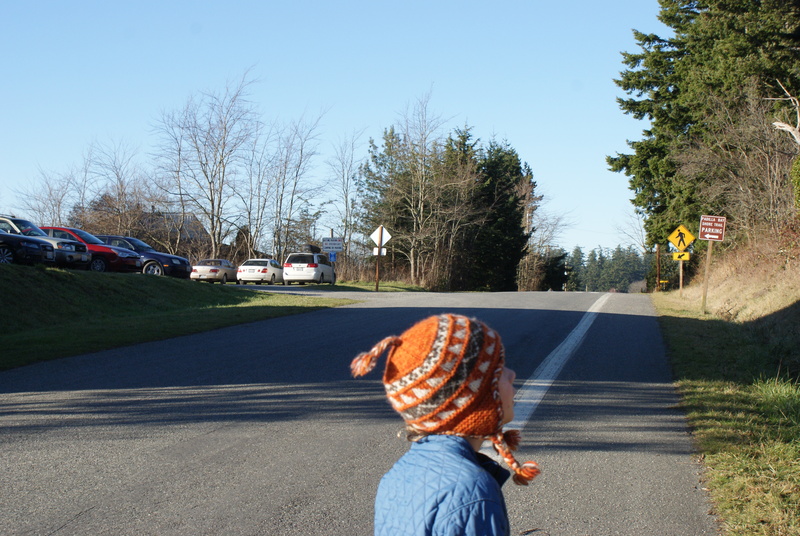 We might have seen a bald eagle or other raptor soaring away from us. 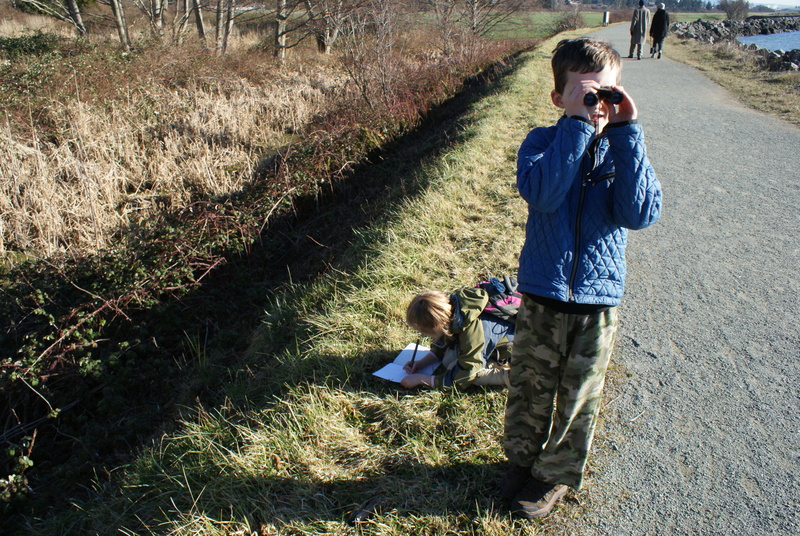 Annika brought her Nature Explorer Bag, and was inspired to make a sketch of a small marshy area with cattails. I am always interested to learn the things that inspire my kids. We heard red-winged blackbirds in this area. Close by, we also saw a heron hunting, standing still as a shadow in the grasses. 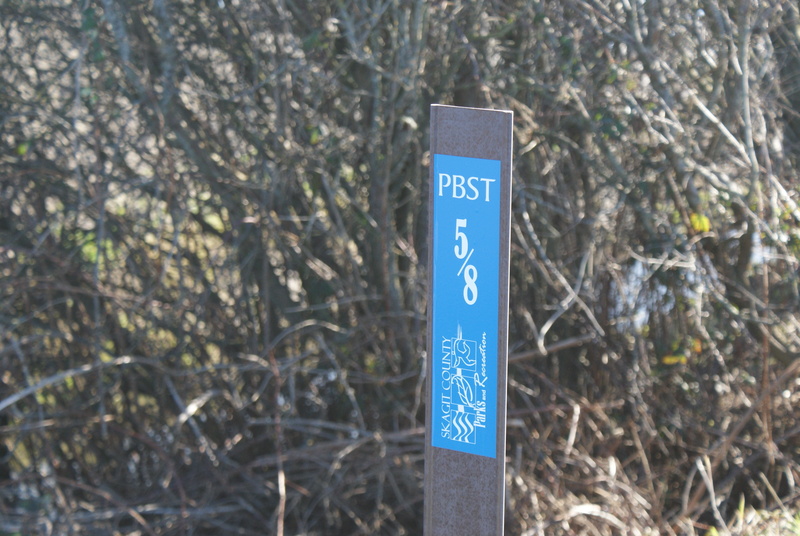 The trail has mile markers all along the length, showing 1/8 mile increments. This was both good and bad for my kids; they wanted to turn around after 1/4 mile, but I pushed them farther, and we practiced our fraction addition as we figured out what our round trip distance would be if we turned around at each marker. Benches are scattered every so often along the route. We stopped at our turn-around point, though, and sat on the side of the trail to eat our snacks. 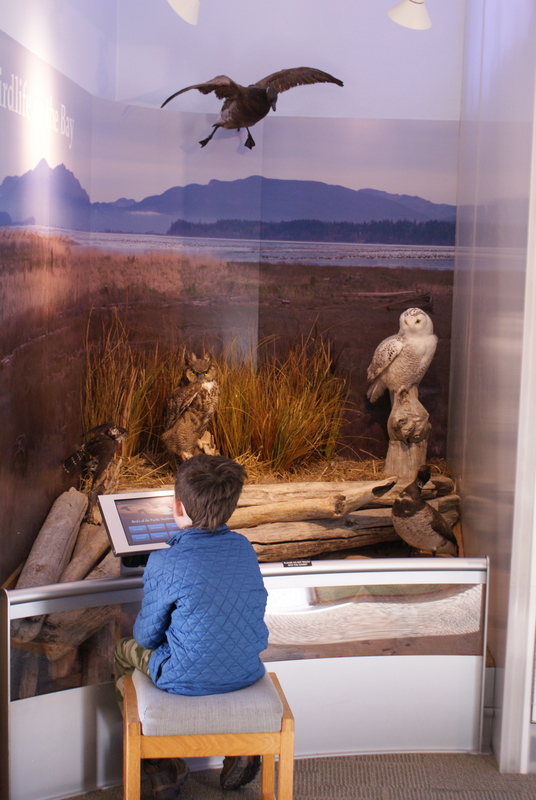 The walk back to the car was quick, and we had plenty of time to visit the Breazeale Interpretive Center, part of the Padilla Bay National Estuarine Research Reserve. 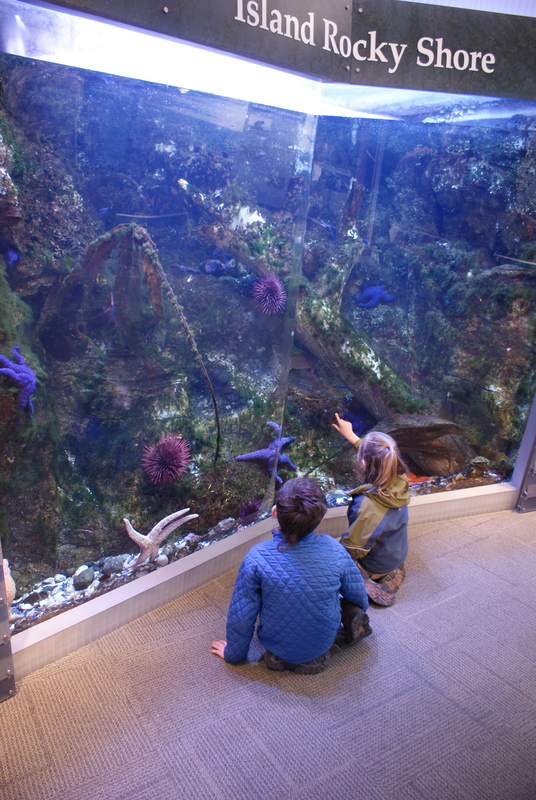 They have kid-friendly displays, including aquarium tanks and a hands-on room. 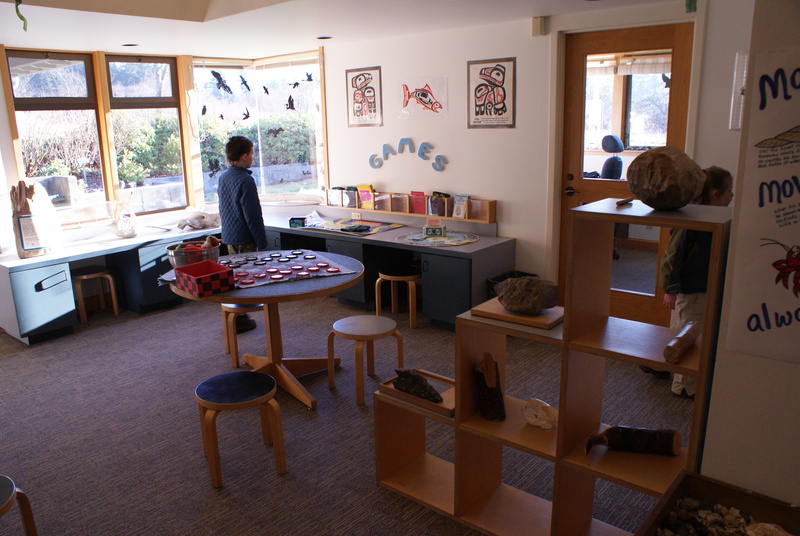 Admission is free, and they are open Wednesdays through Sundays. Check the website for directions and hours of operation. 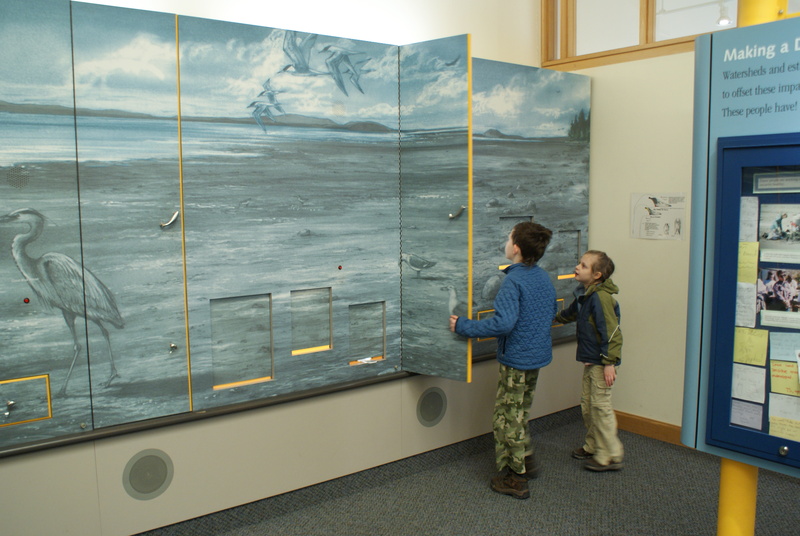 After the Interpretive Center the kids asked to drive up to the top of Mt. Erie. 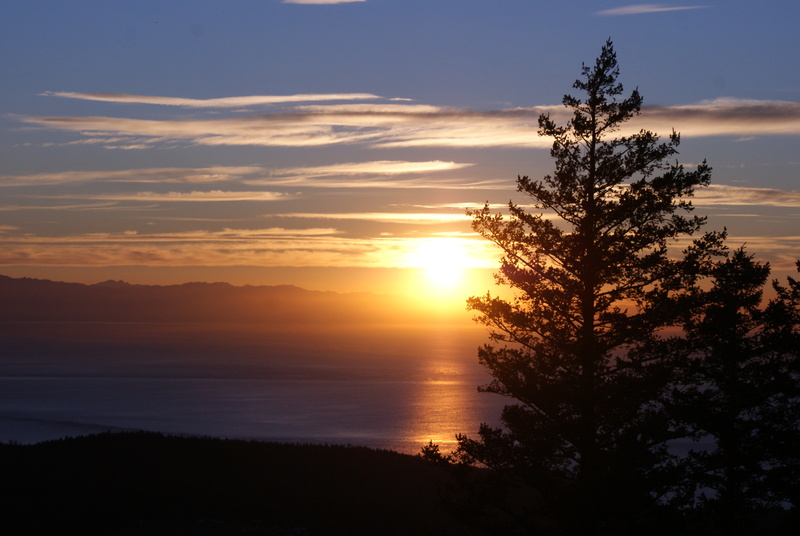 They saw it across the water, the highest point near Anacortes. I figured it would be a good spot to watch the sunset before we headed home. They remembered the huge rocks they climbed on last year when we visited there. We encountered a few photographers, some local teens hoping for more privacy, and some other folks wanting to see the gorgeous sunset that evening. It was a great way to end the day of adventure.